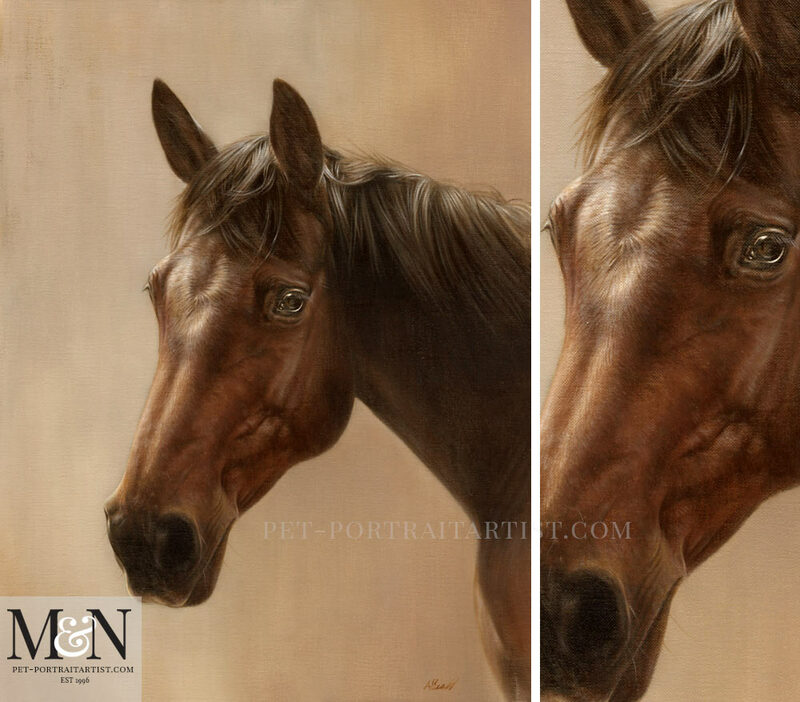 Welcome to Nicholas’ latest horse oil painting of Chino. Olivia and Hannah Dix, mother and daughter, contacted us about having an oil painting. 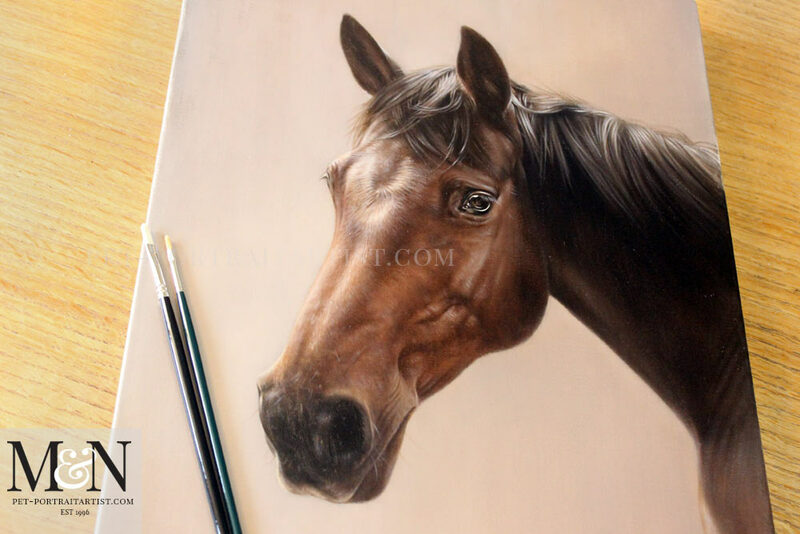 They wanted one created of their beautiful horse called Chino. I spoke to Olivia on the telephone a number of times at the start of the process. We chatted about the kind of photos required for an oil portrait. So all of these aspects were important to overcome for Olivia and Hannah. After a lovely photoshoot in late summer of last year they finally came up with a range of photos that were perfect for a portrait. One in particular stood out and Nicholas used it as the bases of the painting which you see below. The oil painting of Chino was an 18 x 14 on Italian Linen Canvas, traditionally hand painted by Nicholas Beall. Olivia emailed with the favourite photos from the photography shoot…. …..we hope having a number of different photos will help capture what Chino is like, including something of her personality (stroppy mare!). We hope that Nicholas has captured that side of Chino! Hannah was thrilled when she saw the final scan and you can read her email below. Really love the painting I can’t wait to see it in all its glory! We often take photos of our portraits when they are completed on our plan chest. 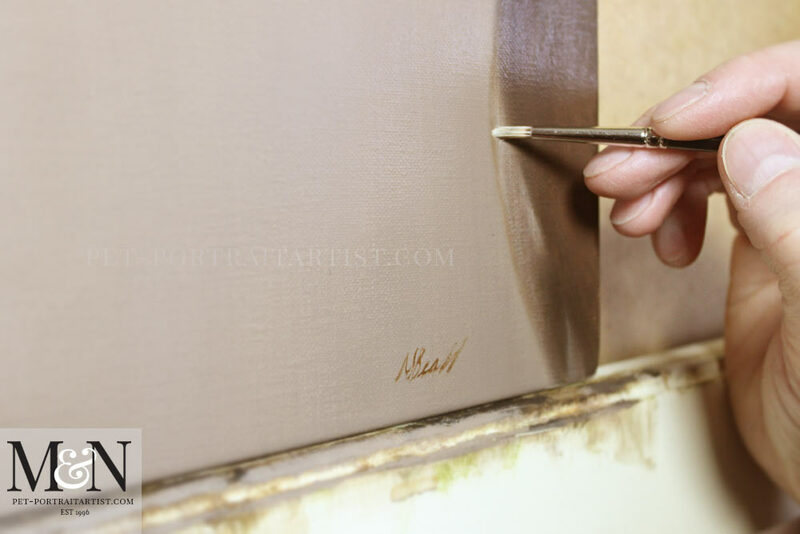 We also add brushes in to help show scale.